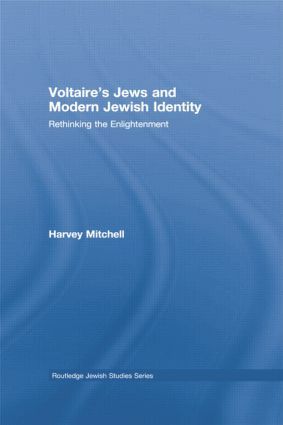 Harvey Mitchell’s book argues that a reassessment of Voltaire’s treatment of traditional Judaism will sharpen discussion of the origins of, and responses to, the Enlightenment. His study shows how Voltaire’s nearly total antipathy to Judaism is best understood by stressing his self-regard as the author of an enlightened and rational universal history, which found Judaism’s memory of its past incoherent, and, in addition, failed to meet the criteria of objective history—a project in which he failed. Calling on an array of Jewish and non-Jewish figures to reveal how modern interpretations of Judaism may be traced to the core ideas of the Enlightenment, this book concludes that Voltaire paradoxically helped to foster the ambiguities and uncertainties of Judaism’s future.